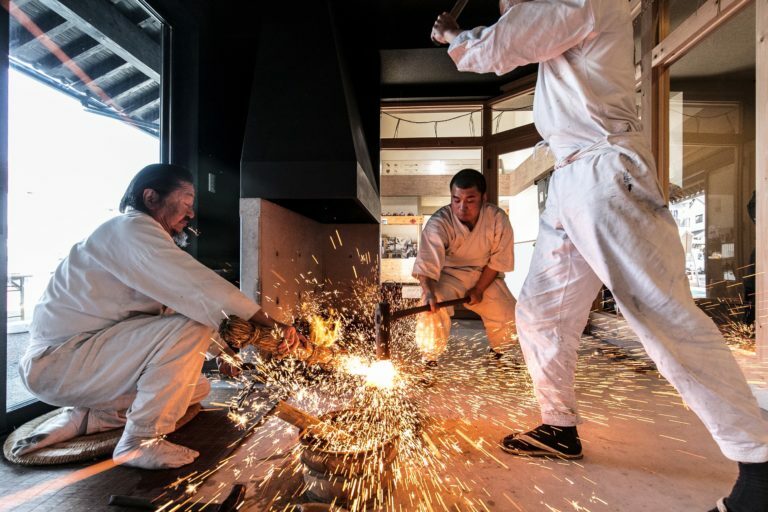 Speaking of Seki City, it’s famous for the production of high-quality blades. 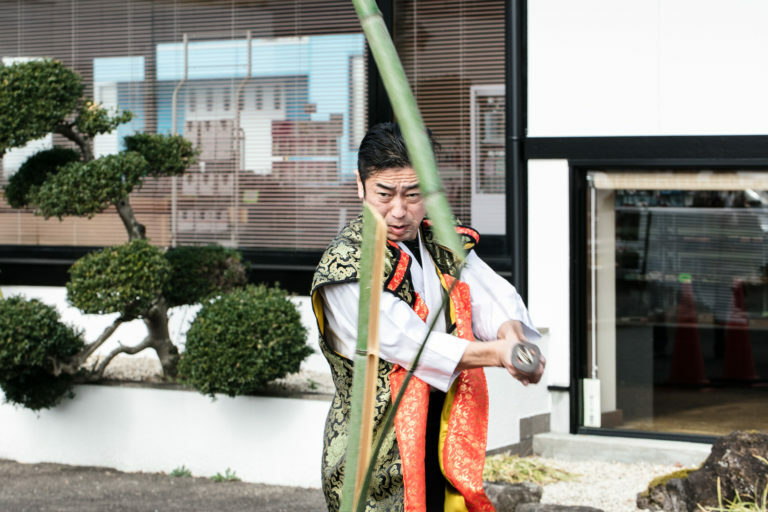 A tourist attraction was open in January 2018 to have fun to learn and experience Seki blades. It has been a popular spot for domestic and abroad tourists. 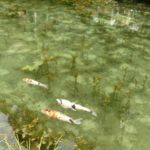 It takes only 20 minutes from baison by car. How about visiting there once? 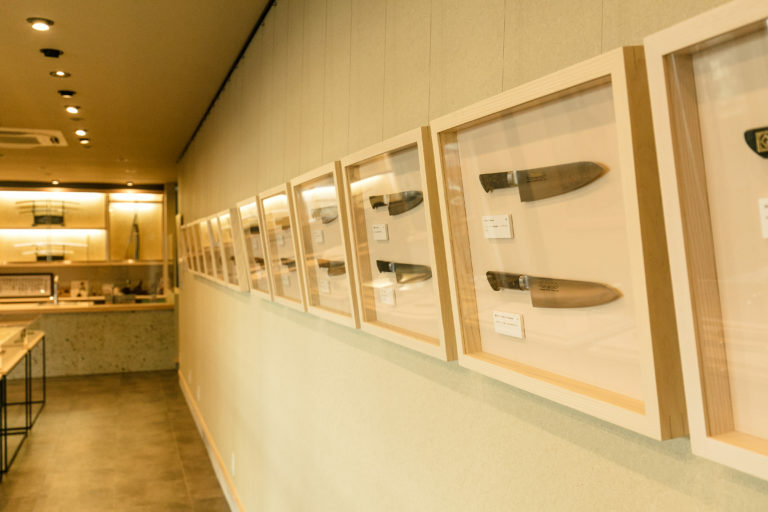 “Seki knife museum” is managed by a knife sales company “Hamonoya Sansyu” in Oze, Seki City to get visitors to have learning and experiences. I’d like to tell “facts” and “people” in the background rather than just sell “goods”. It’s a private tourist facility with such feelings. I arrived at a parking lot. 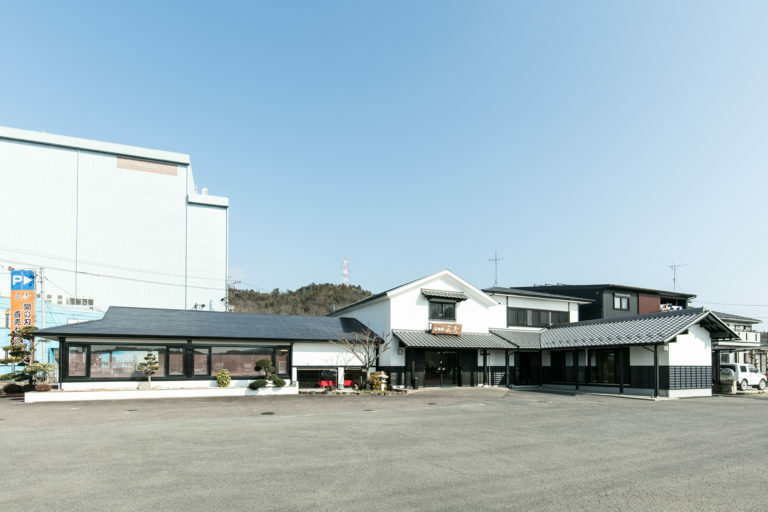 It has a wide space so that sightseeing buses can park easily. 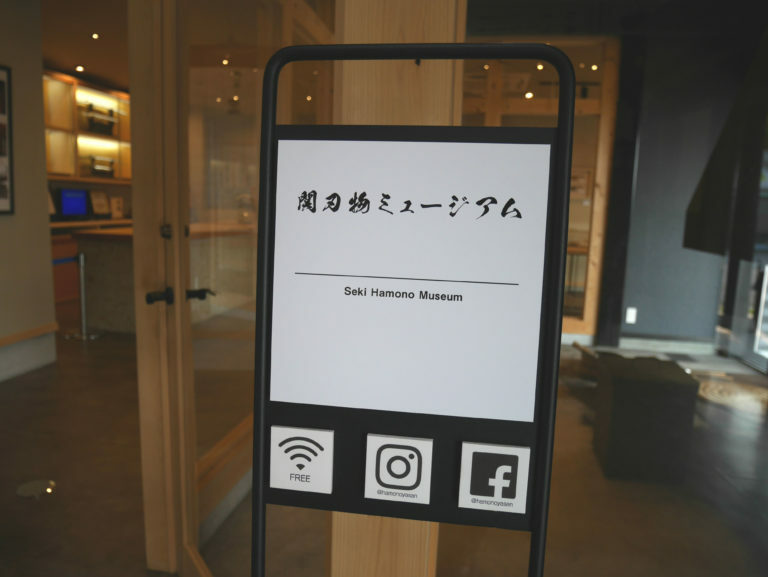 Let’s enter the building and “Seki Hamono Museum” is on your right side. By the way, an entrance fee?. surprisingly, it’s free !! You can drop in casually. 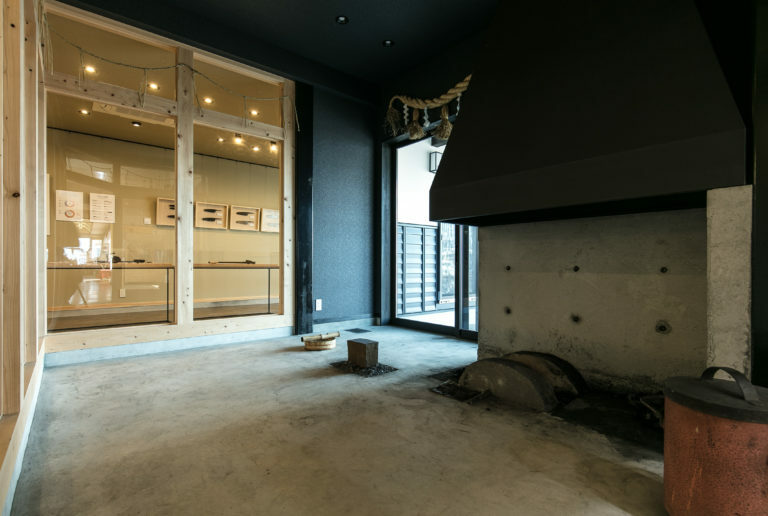 When you enter the museum, you’ll see this place, where Japanese swords are made. We rarely have an opportunity to see such place closely, don’t we? 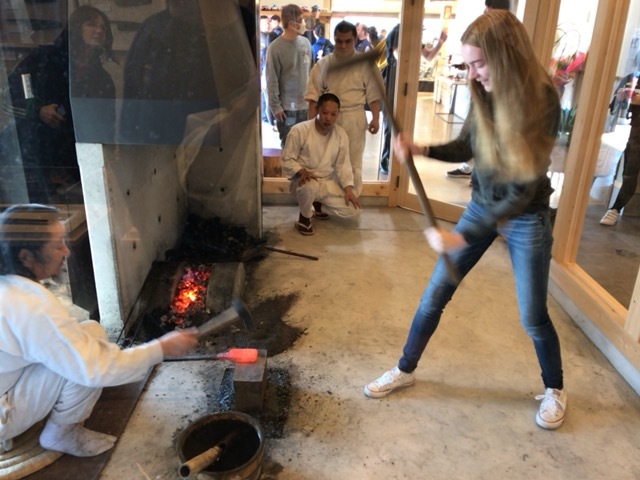 It’s possible to see the scene of making Japanese sword by a sword maker and do experience to hit steel with charge（Reservation is required). Would you like to experience it once? 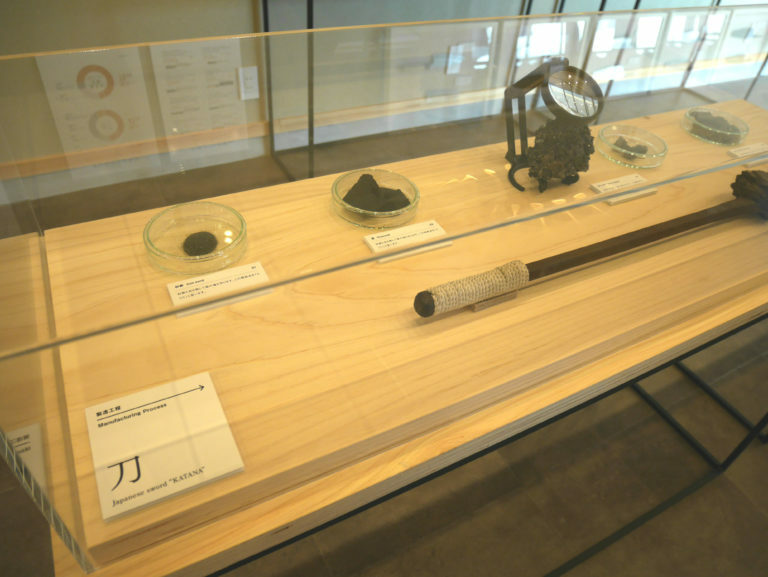 You’ll see Japanese sword displayed beautifully when you enter and go towards the right side. 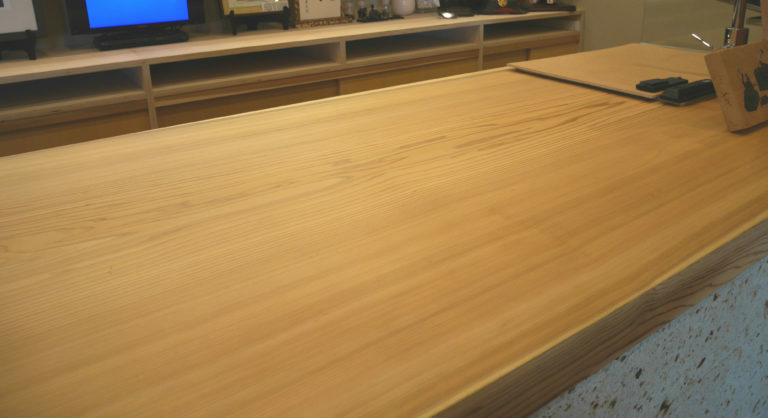 There’s an outstanding desk made of one board. The beauty made me feel as if I drop in at a Japanese-style restaurant. This one board had more length originally, but it was cut to be suitable to the entrance space. The length and the width are significant. I got the urge to touch it. Japanese swords and kitchen knives are exhibited beautifully. 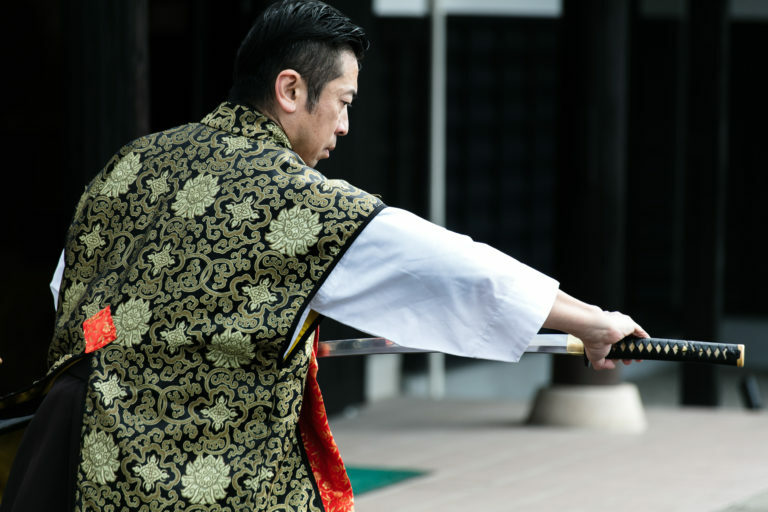 A manufacturing process of a sword is introduced clearly so it’s helpful to understand knife making and the industry deeply. 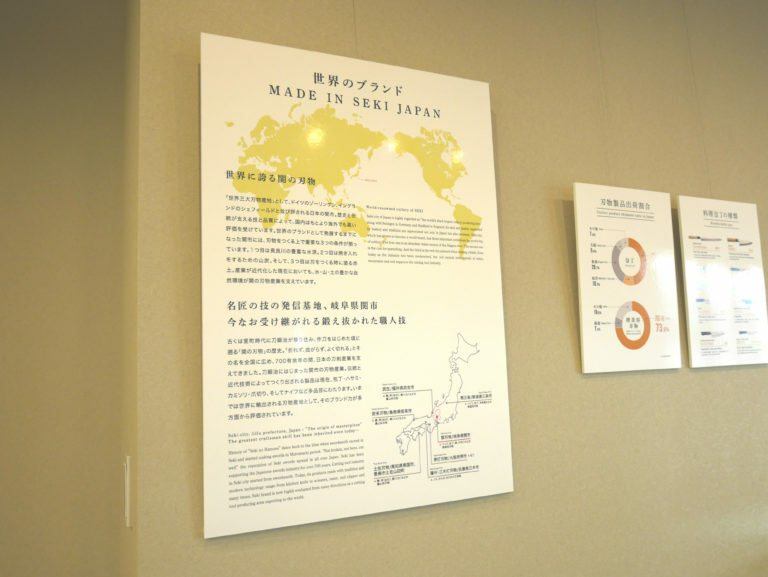 The explanation is transcribed in Japanese and English, so foreign visitors can also enjoy it. There’s kimono in the inside! 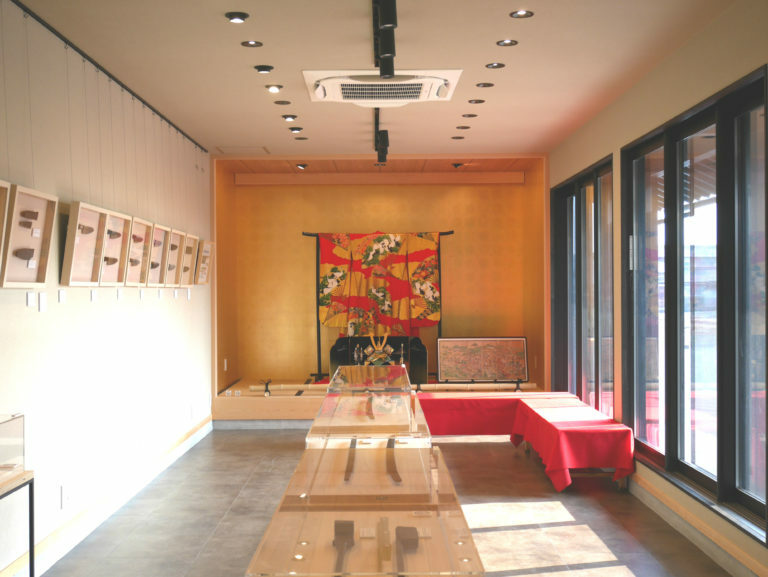 At the Seki Hamono Museum, there are a variety of experiences menus and wearing kimono is one of them. Kimono for men is also available. 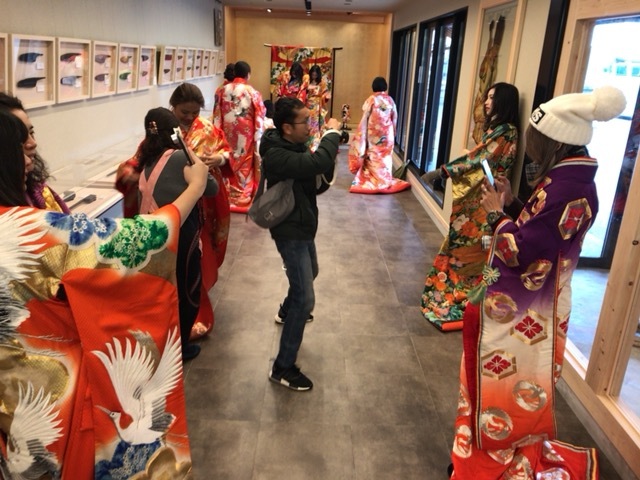 It’s a preliminary reservation system, but you can put on a kimono and take a ceremonial picture for free of charge. ・Assembling experience of small scissors with charge (Reservation is required). 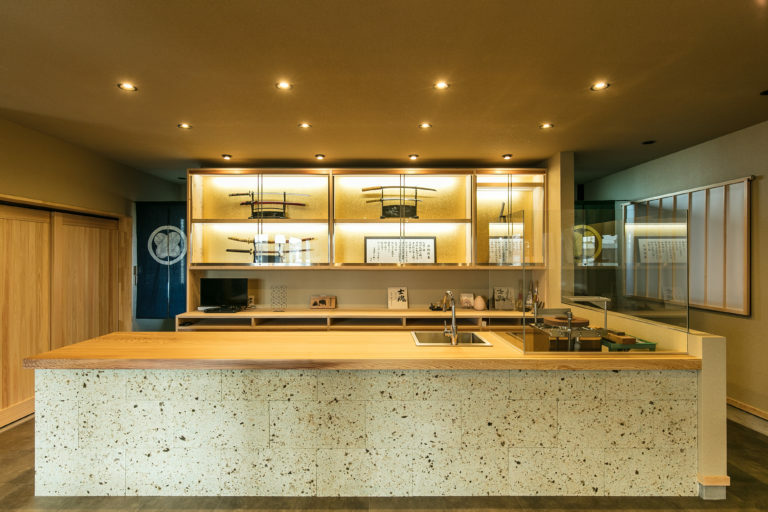 ・Powdered green tea experience with charge (preliminary reservation system). (Reservation is required). 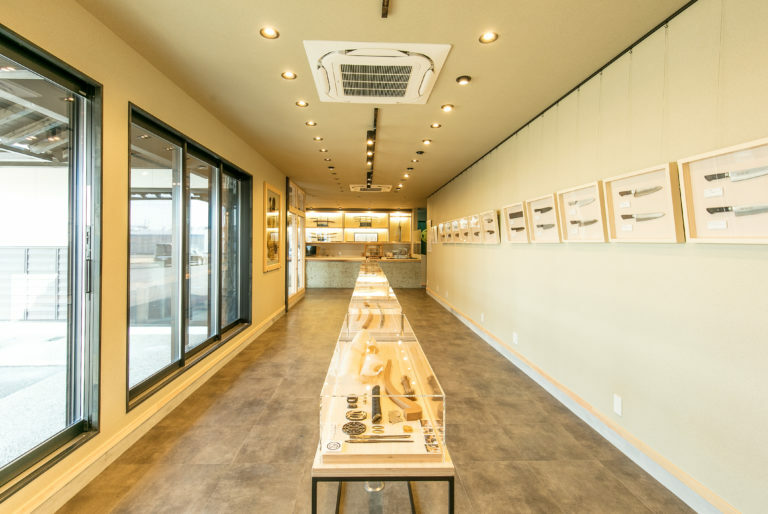 For those who like to see the sharpness of the Japanese sword in real, “demonstration of one motion stroke cut” free of charge (reservation is required) is recommended. Even if you’ve watched on TV, it’s totally different to see in front of you in real. That was so amazing and it gave me chills. 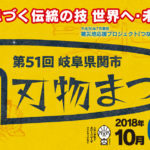 After having a good time at the museum, you can also enjoy shopping at a shop there.You can buy knives and “Japanese sword ice”, which is ice cream produced by local high school students and a new specialty of Seki City. 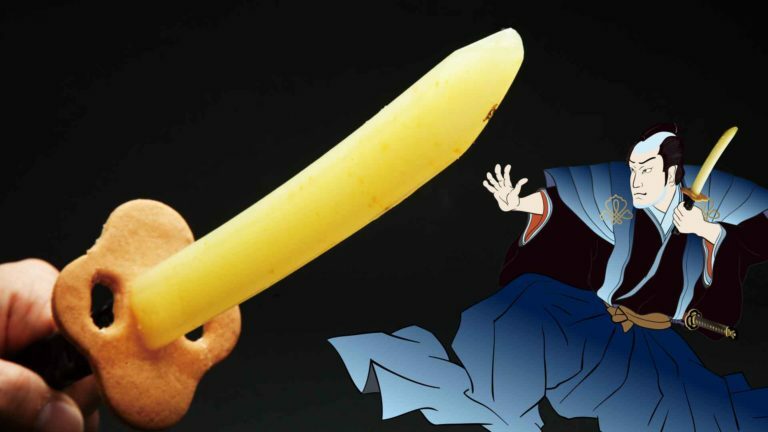 How about trying Japanese sweets made by a long-established store?